LAVA International Limited, the Indian multi-national company in the mobile handset industry, announced the expansion of its most successful Z series of smartphones with the launch of LAVA Z91. Z91 is a perfect amalgamation of design and new technologies – comes packed with innovative features including face recognition which unlocks the phone by scanning users’ face within 0.7 seconds. Z91 looks stunning with its striking blue color, 18:9 wide-screen display and an exceptional glass finish. Priced at Rs. 9,999, the device will be available at over 100,000 retail stores by mid-April, 2018. Dual-SIM LAVA Z91 sports an impressive design with a 5.7 inch HD+ display (18:9) resolution, 2.5D curved design, very sleek body (7.7 mm thick), yet providing convenient one-hand navigation. Z91’s tough and scratch resistant screen makes it a sturdy and reliable device. It also comes with an incredible backup with 3000mAh battery for usage up to 24 hours, through a single charge. The device is powered by Mediatek Processor (MTK 6739) – comes with 3GB of RAM and 32GB of internal storage, and an expandable memory upto 128 GB. Thus, the smartphone provides consumers with ample storage for music, videos, pictures, applications and other data. Lava Z91 is equipped with 13 MP rear and 8 MP front camera with flash, providing brighter and sharper images. Further, its Bokeh feature makes the photographs appealing by making the objects stand out from the background. The smartphone also comes with a two-year warranty, re-affirming company’s focus on product quality and reliability, backed by robust investments in research & development and product manufacturing. LAVA Z91 is bundled with a very attractive cashback offer of Rs 2,000 from Bharti Airtel. Additionally, the device comes with a special launch offer of free one-time screen replacement, in case screen breaks within one-year from the date of purchase. 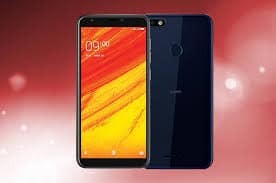 Lava Launches Z91 with Face Recognition 0 out of 5 based on 0 ratings. 0 user reviews. Will Chatbots take over customer service operations?